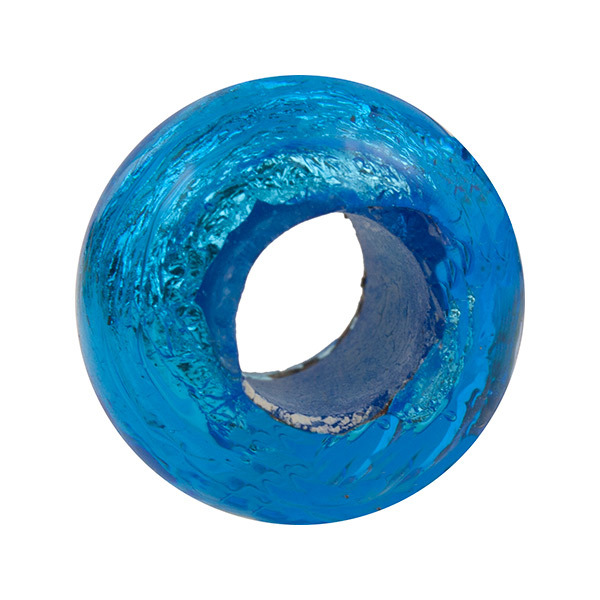 Murano Glass Beads with large hole perfect for using leather, heavy chain or fibers. 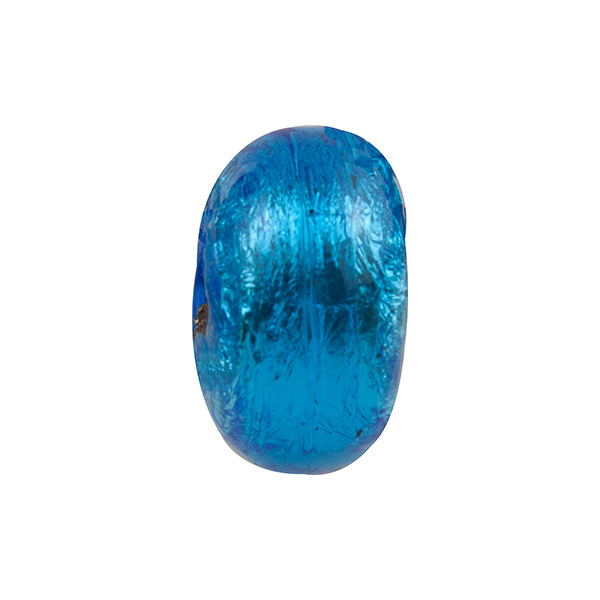 The size of the bead is approximately 16mm outside diameter and 10mm width. The hole is a nominal 6.8mm. As they are handmade, the exact size varies slightly. The color is Aqua Murano Glass over .925 Sterling Silver give is a bright tone.